Search Results for "apricot blossom"
Beautiful Spring Apricot tree flowers blossom. fresh pink blossoming apricot. Soft focus. Branches of a flowering apricot. Spring. 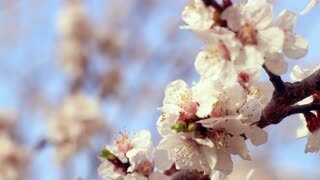 A vibrant yellow flowering apricot blossom tree, high definition stock footage clip. Carpenter bee collecting pollen from yellow apricot blossom tree in high definition. The middle-age farmer checks apricot blossom. the Apricot Blossom in Spring on a Sunny Day. Windy. Beautiful Focusing the Apricot Blossom in Spring on a Sunny Day. Apricot flowers blooming. Fresh spring blossom on the blue sky background. Camera movement along the apricot branches with a shallow depth of field. Beautiful Spring Apricot tree flowers blossom. fresh pink blossoming apricot closeup. Soft focus.